Injections can't help your diabetic cat if he is insulin resistant. It's stressful enough keeping your kitty's diabetes under control when everything is going well. When his blood sugar levels get out of control it's a nightmare. If it seems like your cat is becoming resistant to insulin, it's important to work closely with your vet to figure out the reason. When insulin injections don't control your diabetic cat's blood sugar levels, or it takes way too much insulin to keep blood sugar under control, your cat is insulin resistant. More specifically, if your cat needs more than one insulin unit for each pound of body weight to keep blood sugar within the ideal range, or if your kitty's blood sugar level stays above 300 gm/dl even after several insulin injections, he is insulin resistant. Your vet will need to test your cat to find out whether he truly is insulin resistant, or if there's a different problem going on that's mimicking insulin resistance. A blood glucose curve will reveal any patterns in your cat's blood sugar levels. Your vet will take blood samples over a several hour period to track your kitty's reaction to insulin. It's possible that he might be getting too much insulin and the body is overreacting to the dose. Or, his body may not be absorbing the insulin the way it should. A glucose curve will reveal whether this is the problem or if it is true insulin resistance. Your vet will also consider whether any other medications that might interfere with insulin or dietary changes could be to blame. A lot of times what appears to be insulin resistance is actually the result of an error made by the owner in administering the insulin. 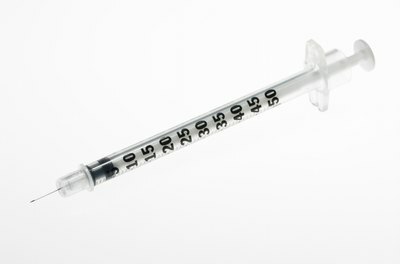 Injecting at the wrong site or in the wrong way keeps your cat's body from processing the insulin. If the insulin is not stored properly it might not be effective. Also, injecting the wrong amount can make it look like your cat is not responding to treatment. Adding treats or supplements to your cat's diet can also disrupt his blood sugar levels. Your vet will probably ask detailed questions about when and how you are giving injections and whether your cat is getting any treats or extra food. It's important to be completely honest so that your vet can figure out whether your cat really is insulin resistant. 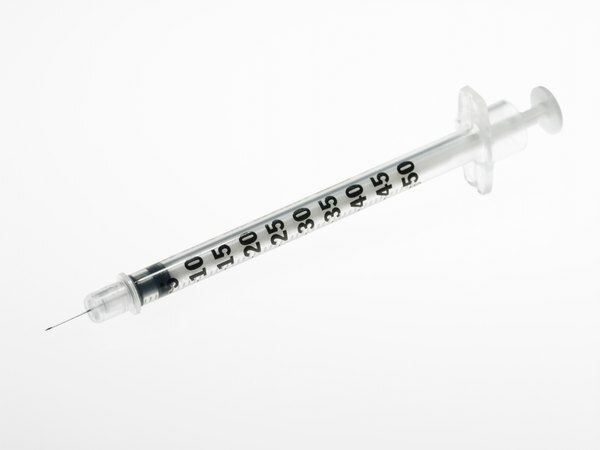 Sometimes a change in the type of insulin is all that's needed to get your cat back on track. Other times, a change in diet or weight loss is necessary to help control your kitty's blood sugar levels. Certain infections, like a bladder infection, can also cause temporary insulin resistance. Your vet will need to treat the infection with antibiotics. Other illnesses, like pancreatitis, cancer, liver disease and hyperthyroidism or hypothyroidism can also cause insulin resistance. Getting these diseases under control can help your cat process insulin. What Are Some Things You Can Do to Make Your Puppy Calmer?